Marinduque ([maɾinˈduke]) is an island province in the Philippines located in Southwestern Tagalog Region or MIMAROPA, formerly designated as Region IV-B. Its capital is the municipality of Boac. Marinduque lies between Tayabas Bay to the north and Sibuyan Sea to the south. 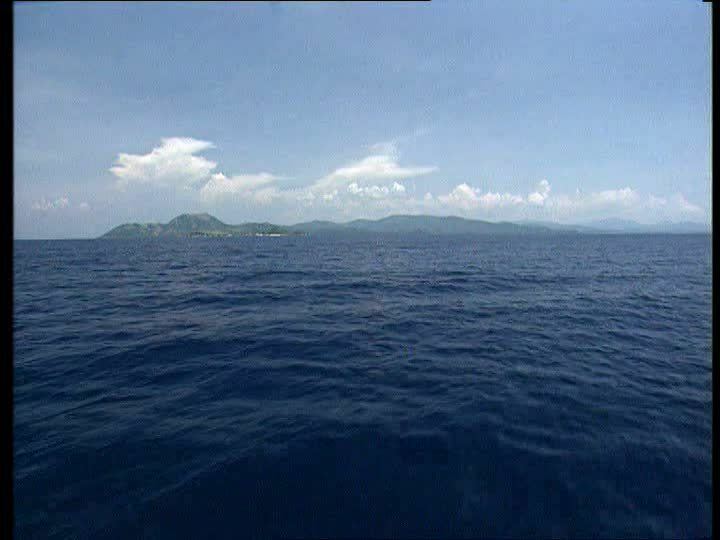 It is west of the Bondoc Peninsula of Quezon province; east of Mindoro Island; and north of the island province of Romblon. During the Philippine-American War, Marinduque was the first island to have American concentration camps. Marinduque is the site of the Battle of Pulang Lupa, where 250 Filipino soldiers under Colonel Maximo Abad, defeated a smaller force of 54 American Infantrymen. It is one of the few battles during the pacification of the Philippines where the tenacity and bravery of the Filipinos prevailed over the well-armed Americans. Col. Abad after capturing the Americans later surrendered on April 15, 1901 upon orders from Gen. Emilio Aguinaldo and due to the capture of Gov. Martin Lardizabal and two other officials of the revolutionary who were held hostage by the Americans in Fort Santiago. The Heart of the Philippines- Used as a tourism slogan of the province in connection of its heart shape which was also a natural choice by travel writers for the same reason. Although the title is contested with the provinces of Masbate, Romblon, and Iloilo and the island of Mindoro, Marinduque remains the title holder because of its geographic features and popular usage of tourists and townsfolk. Geodetic Center of the Philippines- Used to support the first nickname, it refers to the geodetic marker in the island province called as the Luzon Datum of 1911 established by United States Coast and Geodetic Survey (USCGS). A diorite rock with hole marker marks the reference of all geodetic, hydrographic, and topographic surveys in the country. Lenten Mecca of the South- Nickname adopted after the flock of tourists in the province due to the famous Moriones Lenten Rites from a myriad of tourists, to the ardent devotees and a mere observers. Little Gem of the Southwestern Tagalog Region- Nickname adopted for being smallest province in the Mimaropa Region stored with untapped and untouched tourist spots and culture. Butterfly Haven of the Philippines- Marinduque is known as the Butterfly Capital of the country with 85% of the country's butterfly industry centered in the municipalities of Boa and Gasan. Smack Center of the Philippine Archipelago- Phrase used in connection to Moriones Festival once used in tourism brochures of the province. Jerusalem of the Philippines - One of the latest moniker attributed by Rated K to the province because of the numerous Lenten Rites in the province including the re-enactment of Jesus' last years of life played especially on Moriones Rites. Boac is the capital of the province. Although the second most populous after Santa Cruz, Boac remains the center of industry, culture, economy and education. Most of government and private offices are in the municipality of Boac. It also borders all the five municipalities. Mogpog to the North, Santa Cruz to the Northeast, Torrijos to the East, Buenavista to the South and Gasan to the Southwest. Boac is named after the Tagalog word, biak, which means divided, due to the Boac River dividing the town in the geographic north and south. Gasan is the Cultural Nerve Center of the province. Dubbed as one of the cleanest and greenest municipalities in the Philippines, Gasan's land area covers a forest reserve in the eastern part. It is also the gateway to the island of Mindoro. Handicrafts and the famous Kalutang boasts from the town of Gasan. It was named after gasang-gasang, a local term for corals found in the municipality. Buenavista is the smallest of the six municipalities. It was once part of the municipality of Gasan known as Sabang. 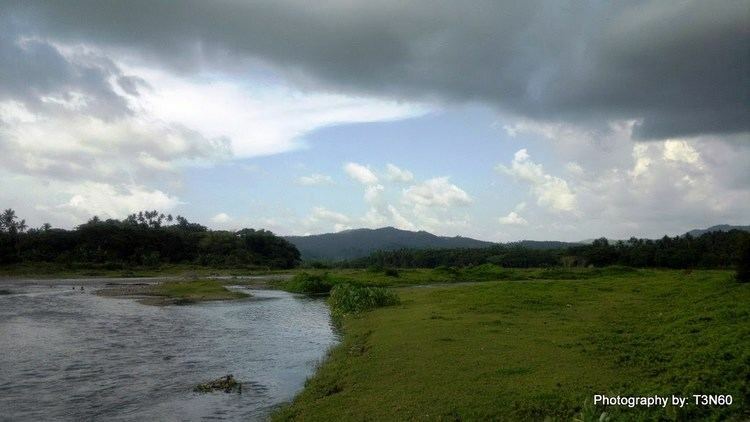 It was named such because of the "good view" of the Tablas Strait and offshore islands. Torrijos was named after three purported origins; 1) from Gen. Torrijos, 2) from torrillos, referring to the cows which pastured in its vast plains, and 3) from torre y hijos, referring to the watchtower men guarding the parish. Torrijos is deemed to be the Summer Capital of the Province and known for locally-grown strawberries. Santa Cruz is the largest of all the six municipalities both in land area and population. It is considered as a secondary municipality after Boac (since it is the capital). Together with Boac, it is also a first-class municipality with established industries and commercial routines. Mogpog is the Primary Gateway of the Province through the Balanacan Port. It is the original home of the Moriones Lenten Rites and Kangga Festiva. Mogpog was named after the Tagalog word, mag-aapog or kiln makers abundant in the municipality. The population of Marinduque in the 2015 census was 234,521 people, with a density of 250 inhabitants per square kilometre or 650 inhabitants per square mile. Marinduque is resided by various religious groups, with Catholics belonging to the Latin Rite predominantly making up the greatest number with 70%. The Aglipayan Church has 25% of the population and the rest belongs to the different denominations such as The Church of Jesus Christ of Latter-day Saints, Iglesia ni Cristo, and various Mainline Protestant denominations which include Assemblies of God, Baptists, JIL, Methodists, Presbyterian, Seventh-day Adventist Church (SDA), and the non-denominational Evangelical churches also known as Born-Again Christians. The version of Tagalog spoken in Marinduque, known as the Marinduque Tagalog, has been described as "the root from which modern national forms of speech have sprung," where remnants of archaic Tagalog could be found, spoken in a lilting manner by its inhabitants. If this linguistic theory is accurate, Marinduque's Tagalog has contributed significantly to the development of the official Philippine national language. To this day, Marinduqueños speak an old variation of the Tagalog language that is very close to the way Tagalog was spoken before the Spanish colonization. According to language experts, the Tagalog dialects of Marinduque are the most divergent, especially the Eastern Marinduque dialect, perhaps due to the relative isolation from the Tagalogs of Luzon and also perhaps due to the influence of the Visayan and Bikol migrants. Marinduque is an agricultural province, primarily growing rice and coconuts. Handicrafts from Marinduque are also exported to dıfferent parts of the world, and fishing is another important part of the economy. Mining was once an important player in the economy until a mining accident (the Marcopper Mining Disaster) occurred, bringing the industry to a standstill on the island and causing enormous damage to the inhabitants. 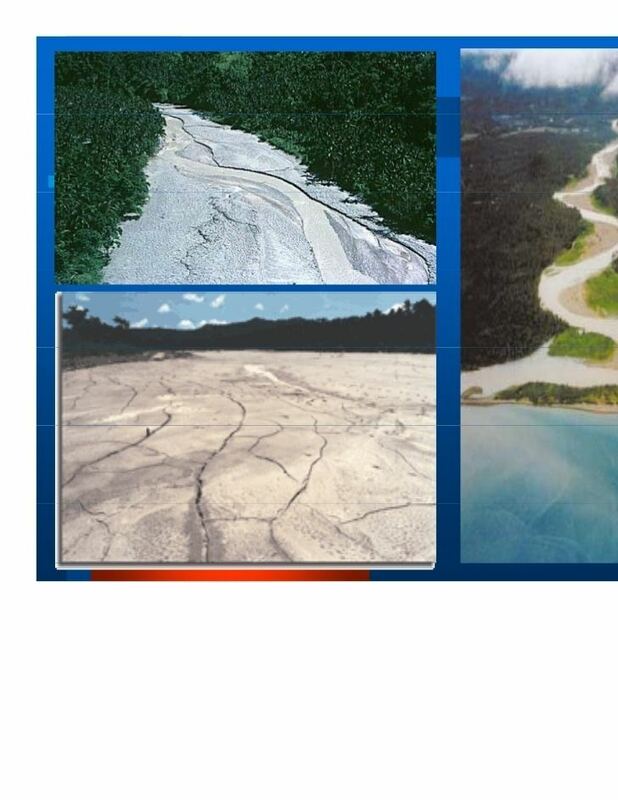 The provincial government has just recently sued Marcopper's parent company, Placer Dome, for $100 million in damages. 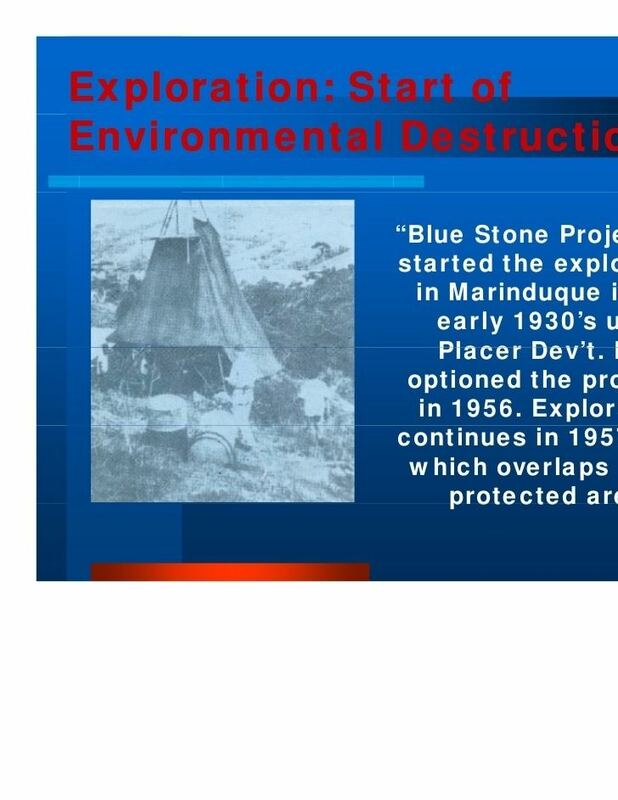 Placer Dome was purchased in 2006 by Barrick Gold, who has now been joined in the lawsuit. A significant role in Marinduque's economy is also played by tourism, especially during the Lenten season. While this is not one of the larger parts of the island's economy, it has shown great growth. Recently, some residents are now engaged in butterfly farming. Butterflies are raised for export to countries in both Europe and the Americas. Locally, live butterflies are released in celebration on different occasions, such as birthdays, weddings, and some corporate events. 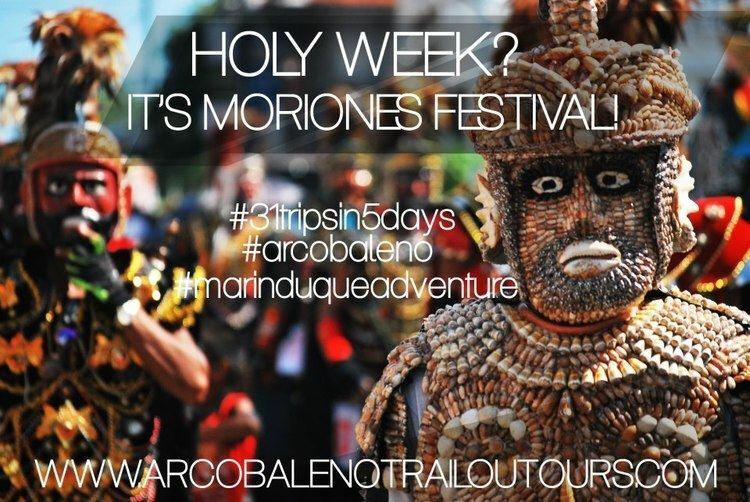 The Moriones Festival is a famous annual festival locally known as "Moryonan" in Marinduque. From March to April, parades and celebrations can be seen on the streets. 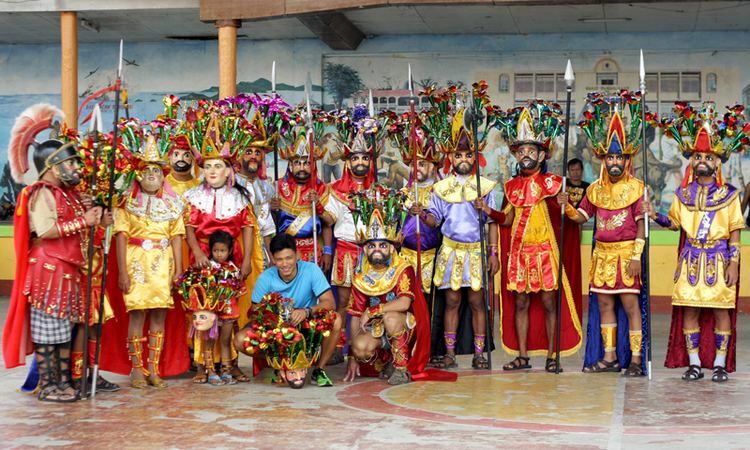 In Santa Cruz, Gasan, Boac, and Mogpog, a parade of people dressed as "Moryons" can be seen on the main road connecting the towns of the island. Boac and Santa Cruz, the biggest towns in the province, shows a reenactment in the evening of the actual event when Longinus, a blind soldier, punctures Jesus with his spear and blood droplets from the wound restores Longinus'sight. Marinduque is home to the kalutang, a musical instrument made of two pieces of wood that produce different note ranges depending on its size. A band of 10 to 12 can create music with this instrument. Currently, Marinduque is served by direct daily flights to-and-fro Manila by Zest Airways (formerly Asian Spirit). The Marinduque Airport is located in Barangay Masiga, roughly between Gasan and Boac. Star Horse Shipping Lines — plying the sea routes from Talao Talao Port in Lucena City to Balanacan, Marinduque - (See Schedule of Star Horse Shipping - Source: Google or SHSLI Website). JAC Liner Inc. serves a direct bus route from Cubao in Quezon City to Marinduque via roll-on/roll-off ship.